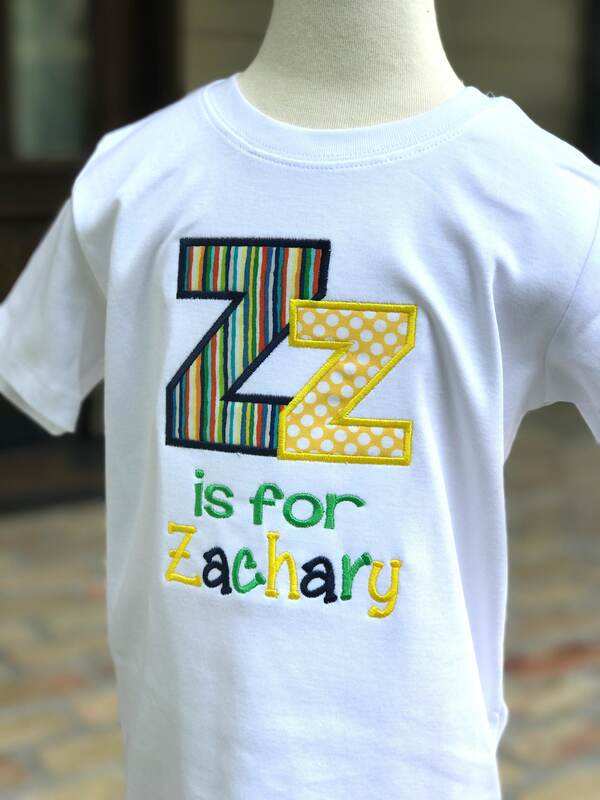 Back to school is just around the corner, and this customized alphabet shirt is perfect for a new school year. 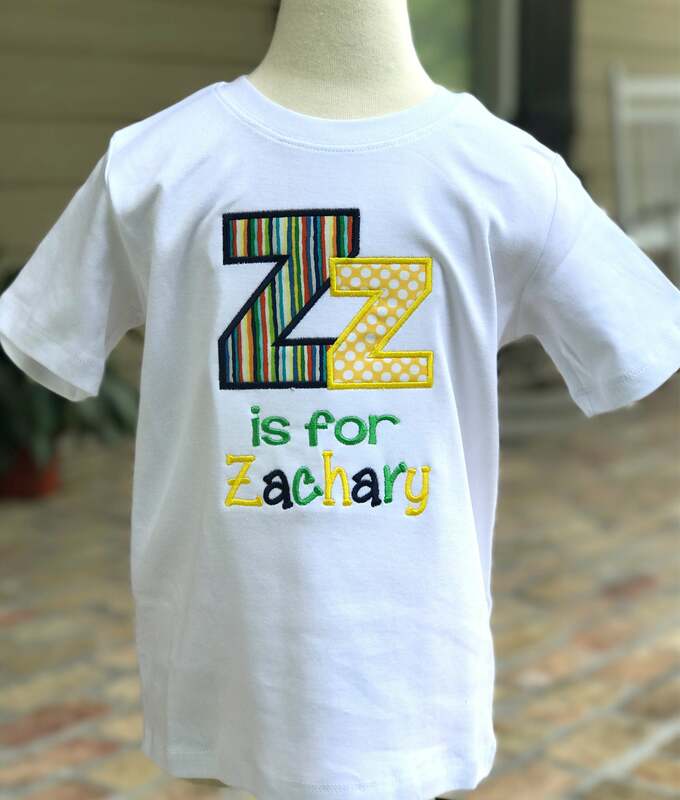 It comes on a white cotton shirt. 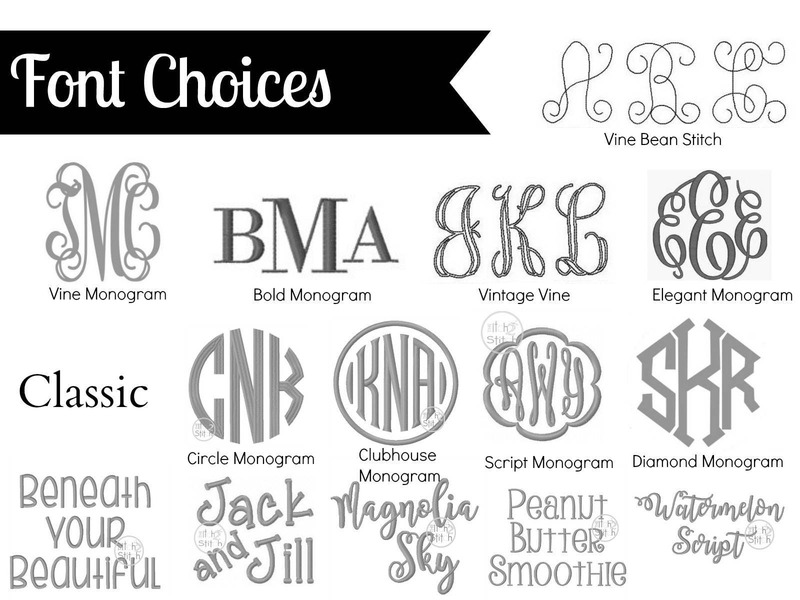 We love to customize orders so if you're looking for a particular color combo, just send us a message! I couldn't be happier with these shirts. I will definitely be ordering more things from this seller. So well made and very promptly shipped. These shirts are so adorable. My grandsons love wearing them and matching each other. Very nicely made and shipped promptly.